ITS applies advanced display and communication technologies, Central Control Station (CCS) and intelligent display boards. Increase the Number of Commuters in KSRTC Mysore. Promote the development of related industries. Increase the accessibility of the system. Increase the safety of users. Display and announce current and next stop details inside the bus. Display expected time of arrival (ETA) of next bus on the bus stop display boards. Real time bus information through SMS and IVRS facility. 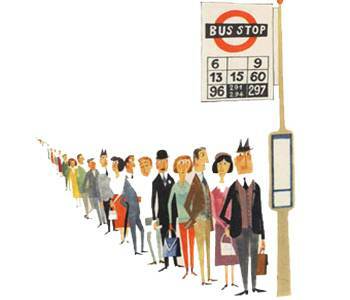 Reduction in waiting time and uncertainty and improve in overall bus service reliability. ITS helps in improving operational efficiency through proper scheduling and monitoring. 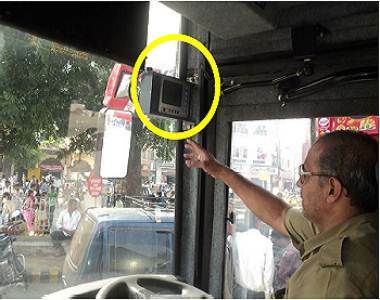 ITS enables two-way communication between bus driver and Central Control Station (CCS). ITS helps in improving crew driving habits. Reduce the fuel consumption and emissions. ITS can enable financial benefits due to increase in passenger loyalty and passenger shift from other modes of travel. Bus arrival and departure for specified locations. Route details for particular route number. Fares from desired source to destination. Building intelligence into the transport system. 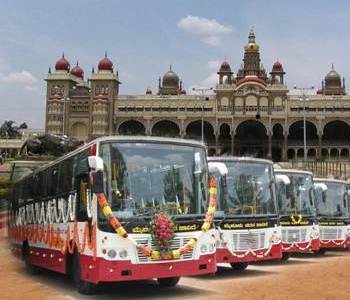 Volvo services are premium services of KSRTC - Mysore that provide high comfort in order to attract people from using personalized mode of transport. The service is operated by deploying Air-conditioned, Euro-III conforming with kneeling mechanism, collapsible exit floor and room for wheel-chair. These services are hard to miss as they are red in color and operate on select localities like Infosys Campus, L&T, Chamundi Hills, Nanjangud, Srirangapatna and Yelawala of Mysore. Ordinary services comprise of Pushpak, a multicompartment bus, Parisaravahini- Low emission old buses, Marcopolo-Low floored and semi low floored buses. These buses are aimed at the common man in Mysore City. Thus enabling a safe, reliable and cost effective travel. © 2016 Karnataka State Road Transport Corporation. All Rights Reserved.